Neolithic Design is the source for antique reclaimed stone, and contemporary cut and carved fountains, fireplace mantels, and flooring. A mix of styles from the ancient civilizations that flourished along the Mediterranean are represented at Neolithic Design. The company was founded by Erwin Guntenkunst. Erwin himself is a renaissance man, experiencing life in many parts of the world before coming to Southern California to live and work. With a degree in engineering, Erwin was fascinated with what could be done to manipulate stone. "The fact that our ancestors created such great works of art that you can touch, feel and use centuries later is so compelling. A man and a chisel can create something not only useful, like a village fountain for everyone's water, but turn that utilitarian object into something of beauty. We still find use and character in the worn and scarred limestone flooring of a demolished farm house. Who walked there before me? Who sat in front of the great carved fire mantel?" These are the inspirations that brought Erwin into the business. All of our pieces can be mixed and matched to adhere to the desired interior or exterior design. Limestone fireplace mantels, flooring, fountains and sinks are just the beginning. Neolithic Design's creations form an innovative, yet old world classic hand carved collection. Beyond aesthetic appearances are the core values of our company. We are creating exceptional business relationships with our clients and provide a product of remarkable quality. We believe in our client's designs, as we believe in our product, and will allot all the necessary efforts to seamlessly tie the two together. Give Us a Call Today for a Recommended Dealer Near You! Distributor of unique contemporary direct vent gas fireplaces. Ortal’s innovative direct vent gas fireplaces are integral parts of our clients' homes, hotels and restaurants. With 7 basic styles and over 120 standard products, Ortal's fireplaces provide form and function with high efficiency ratings, safe easy operation and eye catching aesthetics including ORTAL's signature frameless glass-to-glass applications. Beyond our current offerings, Ortal also welcomes your ideas for custom designs. Fireplace Specialists. General Contractor. If you're ready to make a change, you've came to the right place. Oakland can not only help you change your fireplace, we can help you transform your home! SoCal Fireplace Mantels is a leading cast stone fireplace mantel distributer in Southern California. From subtle to ornate, we carry an extensive selection of stone fireplace mantels for any style, home, or budget. 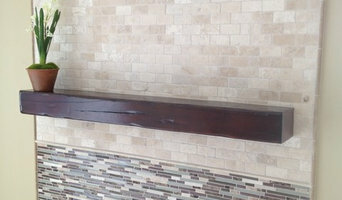 Our company has successfully completed hundreds of fireplace mantel projects. From impressive fireplace mantel creations for designers, developers and contractors, to small-scale residential projects, we have met the needs of many different types of customers. We assist our clients with every step of their fireplace mantel remodeling project; from taking accurate field measurements, through providing architectural drawings, delivering and installing their new, spectacular fireplace mantels. 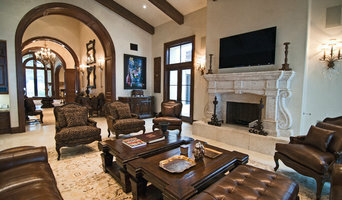 We also service contractors and designers with various fireplace mantel and architectural precast remodeling projects. Furthermore, we take pride in our ability to provide our clients with any custom fireplace mantel design, using either cast stone or natural stone. We also offer a vast selection of custom overmantels, to create a breathtaking focal-point in any home interior. The cast stone fireplace mantels are molded using Glass Fiber Reinforced Gypsum (GFRG). GFRG is a flexible, non-combustible, non-polluting, lightweight natural mineral. Because of its versatile traits, GFRG enables our clients to achieve any design, color, or texture for the selected product. A 15-year limited warranty is provided by our company for this line of cast stone fireplace mantels and overmantels, which provides our clients with long-lasting peace of mind with their new mantelpieces. We also offer a fine selection of Limestone, Travertine, and Marble fireplace mantels and overmantels. These unique natural stone fireplace mantels will complement any upscale residence. Astria manufactures fireplaces with sophisticated design and industry-leading quality and performance. Our full line of gas fireplaces, wood fireplaces, electric fireplaces, gas log sets, and chimneys are designed to complement and enhance the unique style of any room or outdoor space. Fill your home with warmth from an array of wood, gas, and electric hearth products available in various styles and sizes. Regardless of your décor or your heating needs there is a fireplace from Astria that will fit your home perfectly. Brower Systems Inc. is an Orange County based custom outdoor firepit company. We specialize in creating unique firepits and outdoor fire places. We pride ourselves in the quality of our craftsmanship. We make wood burning and electric firepits. We can assess your needs and space and figure out a model that would work perfectly in your backyard. We enjoy being a part of making your backyard a beautiful outdoor living area. Wildwood is a manufacturer and distributor of modern designed wood fired ovens, authentic Brazilian BBQ’s (Churrasqueiras ), Japanese Yakitori Grills and accessories. Our products are second to none in design, performance, and quality. Our customer service department is made up of knowledgeable and friendly people who know the products and how to use them. Once you purchase from Wildwood you become a member of our family… Our commitment to your total satisfaction includes our oven and BBQ cooking classes as well as a complete range of accessories designed to enhance your experience. Our website is filled with facts, recipes, and design ideas for your next kitchen project! Escea gas fireplaces are synonymous with minimalist modern and sophisticated style and design. This range of indoor and outdoor fireplaces has proved popular with architects and interior designers, so if you're renovating or planning a new house you should consider Escea for your gas fireplace. Escea fireplaces come in a variety of heat outputs, various modern fascia designs, and a variety of fuel effects. These gas fireplaces are available in both natural gas and LPG (Propane). What should you know about buying a fireplace in Santa Monica? Since wood smoke contributes to air pollution, many cities have banned the use of wood-burning units. If you’d like to buy a wood burning unit, check the Santa Monica, CA city policies first. If your home already has a wood-burning unit that you’re concerned about, contact a fireplace manufacturer to replace your wood-burning unit with an environmentally friendly electric or gas alternative. Gas inserts can be efficient heaters and may lower your electric-heat bill. Many adjust to provide high heat on a cold night or a low-burning flame for ambience. Interior fireplaces and mantel designs are as varied as home interiors. From custom fireplace mantels made to conceal a flat-screen TV to custom hearth designs with elaborate Renaissance-style stone mantels, the latest designs can be found by visiting Santa Monica, CA fireplace showrooms. Find fireplace manufacturers and showrooms, plus fireplace installation professionals, on Houzz. 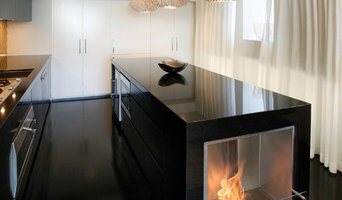 Go to the Professionals section to find Santa Monica, CA fireplace design and installation experts.